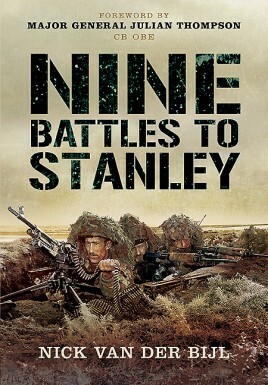 Nine Battles to Stanley is a soldiers account of the ground fighting on South Georgia and the Falklands. What makes this book unique is the fascinating and objective way the author describes the experiences, view points and comparative qualities of both sides to the conflict. Fresh light is shed on the whole campaign even the best known battles at Goose Green (where Col. H. Jones won his VC) and the night attack on Mount Tumbledown.